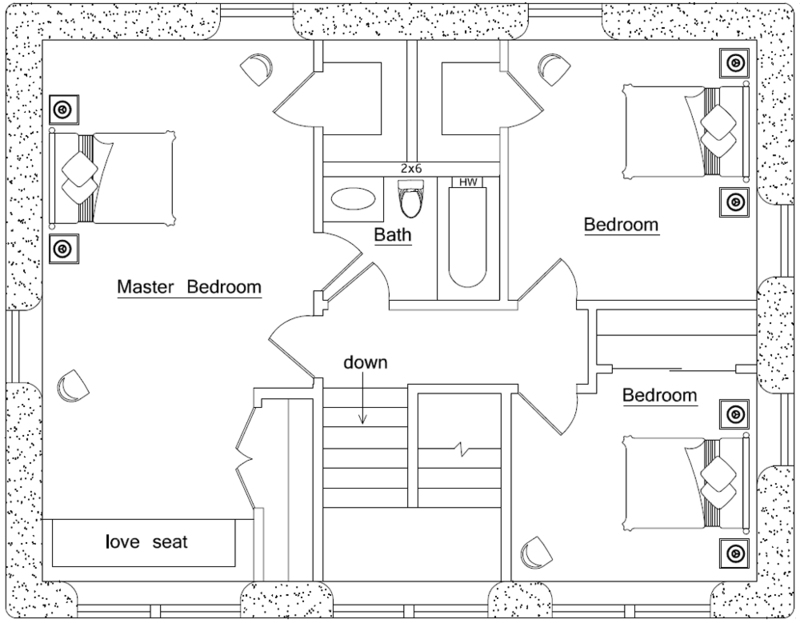 I like this layout/floorplan, and think it would fit our very narrow lot. However, we are in a very hot mostly dry area, so how does this “mountain home” not fit the needs of a hot agricultural area? It will still work fine. Visually it seems right at home in the mountains, but would work almost anywhere. 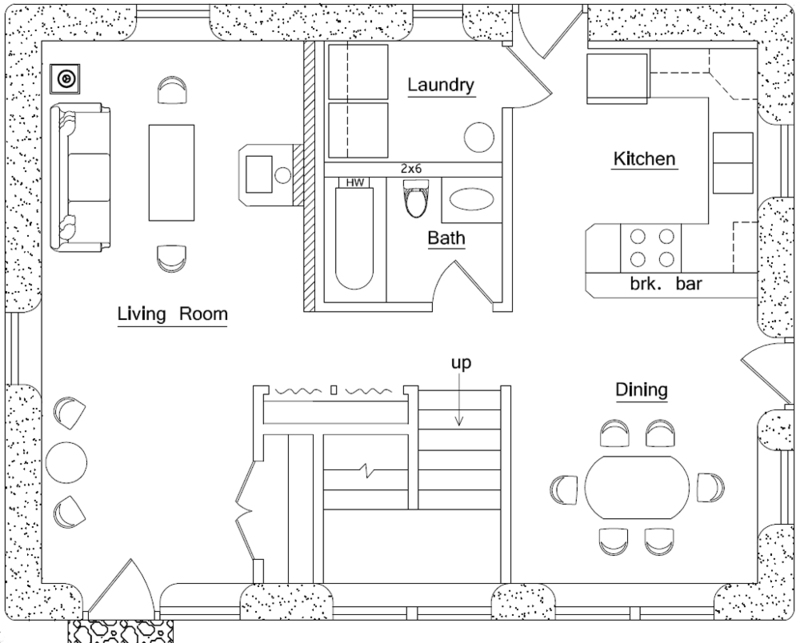 Would It be possible to extend the size of this structure to about a 30′ x 40′ base to increase room size and accommodate walk-in closet and larger master bath? 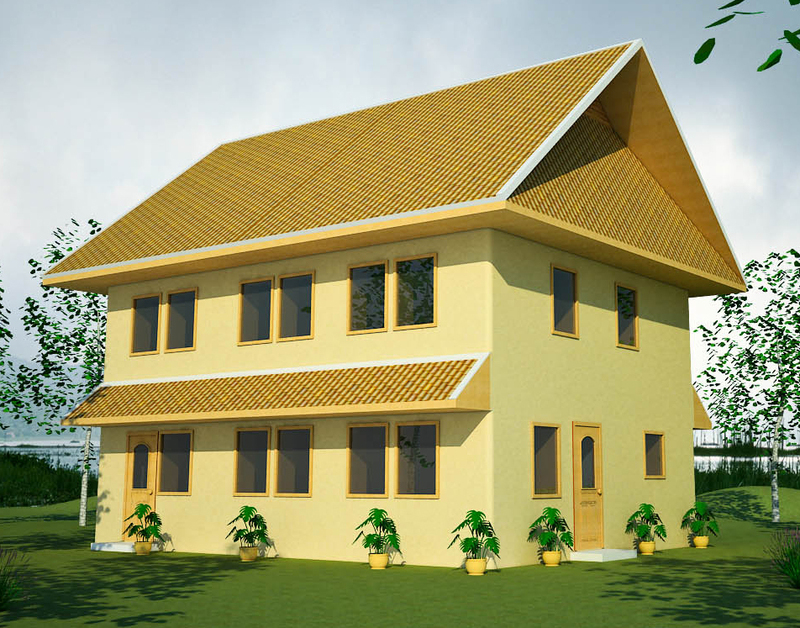 Also, is the proposed roof design the only option you offer with this home design? I sort of like the chonbri flatter roof for a built-in rain catch idea. Sure, lots of people make changes to my plans. However, I no longer do custom plans. Order the CAD files and then hire a local designer to make the changes. They’ll know the codes, climate specifics, etc. After many years of researching various types of earthbag buildings I am taking the next step towards my goals by ordering your book. I really like this design and size for my faimly. I do have a couple of questions. What do you believe the basic estimated costs and time frame for bring a design like this to fruition in the US, Pacific North West. Read the article How much will my house cost? Costs vary considerably and you have to make a cost estimate using actual costs in your area. Check out a cost estimating book from the library and plug in the costs in a spreadsheet. the foundation has to be bigger for a 2 floors house like this? Yes, it would be best to use somewhat larger bags for the first floor.